Outdoor flower arrangements are one of many ways you can use flowers to enhance the appearance of your home. This article is dedicated to providing you with some creative decorating ideas involving the use of plants and flowers for display on or around your home. One of the first things that comes to mind would have to be a box garden for the front porch. Another would be an assortment of baskets lining the driveway. For your backyard, try bouquets of fresh flowers for a patio table or for along the railing of your deck. 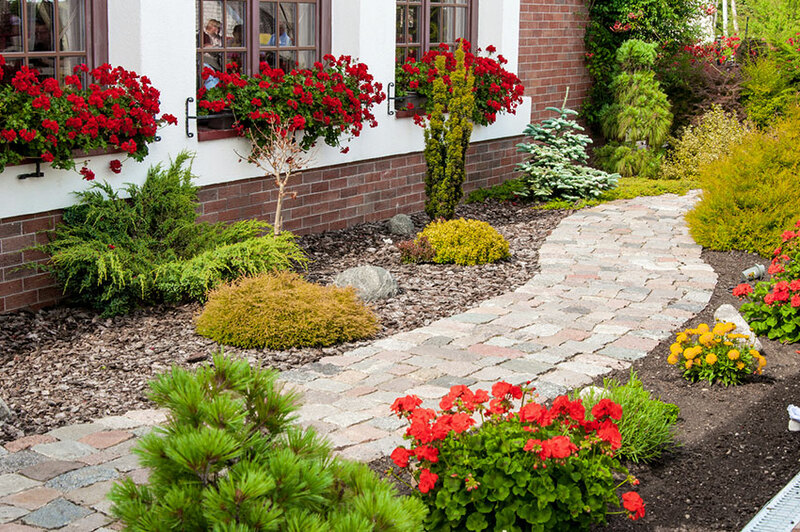 The enhanced image of beauty that outdoor flower arrangements lend your home is something you don't want to ignore. Once your neighbors start asking you how you did it, you'll be able to smile and explain it to them with a knowing wink. One thing to consider is the time of year. You want to match up your flowers to the season, spring for spring and summer for summer to allow for maximum enjoyment. Below we'll offer some more suggestions about how to use outdoor flower arrangements to your advantage. Of course, if there's anything we've missed or if you have any additional questions you are always welcome to ask us for assistance – we'll be happy to help! Outdoor flower arrangements aren't just great for your home; they can lend their beauty to any location or occasion that might come along. Perfect for a wedding or birthday celebration, and sure to delight both friends and family alike, they make a cost effective, naturally beautiful and extremely classy choice for decorating. Plan your arrangement based on color preference or with what would match existing displays to ensure that no style is lost and you'll be creating something that everyone will be talking about for weeks! It's easier than ever to shop for outdoor flower arrangements thanks to the Internet, so start by checking out the flowers by type and variety and then pick whatever matches your view of the celebration or decoration. If this seems like a daunting task, rest assured that your florist is armed with years of knowledge and experience and is more than happy to offer advice and make suggestions based on what you require. Let our expertise be your salvation when you order flowers and revel in the beautiful creations that result. Your home or planned celebration will be the talk of the town and the envy of all!